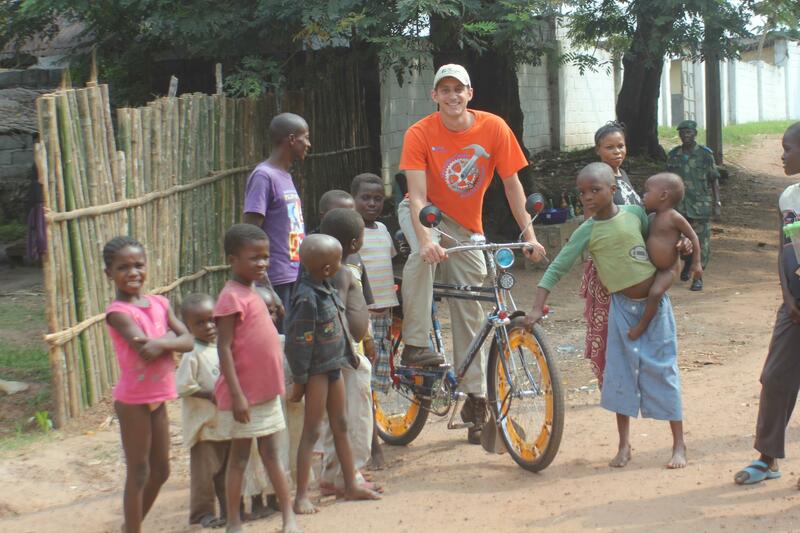 Almost five years ago, I felt led by God and life circumstances to create the Fuller Center Bike Adventure. Mack McCarter, our friend the founder of Community Renewal International, shared a nugget of wisdom with me:Any fool can count the number of seeds in an apple, he said, "but no one can count the number of apples in a seed. He recognized how our efforts were bringing about more than just the immediate results – we were also planting seeds. Call me Jonny (Appleseed), but we have been planting seeds ever since! What may come from those seeds, one never knows. The latest fruit? An entirely new Bike Adventure itself: a Spring Ride! Which itself will be another seed-planting operation.) Let me tell you the story. The end of last summer’s Bike Adventure in Washington, D.C. was an emotional time for all of us. We were on a high from the terrific experience and sense of accomplishment, but also felt a sharp sting in our hearts as we said goodbye to the community of each other we had come to know and love. That same day, with those exhausting emotions fully upon me, I boarded a plane to head to the Democratic Republic of the Congo to embark on a different kind of journey – one that would bring me back to the history of the earliest days of Millard Fuller’s ministry. Little did I know that this unusual combination of circumstances and emotions would inspire the creation of something new and fully unexpected. There, in a world so different from what most of us will ever know, I visited the very first international Partnership Housing project of Millard and Linda Fuller, which they undertook as missionaries with the Disciples of Christ. The Congo was their international testing ground for the model after first implementing the idea at Koinonia Farm in Americus. Their success would cause them to create Habitat for Humanity immediately upon their return, and so the project in the Congo became the model and inspiration for the housing of over a million people in their lifetime. Forty years later, these initial houses and indeed the entire community still looked clean and beautiful. Yet here in humble Congo, with violence in its eastern states and some of the world’s most dire poverty throughout, the program has stalled over the years and Habitat for Humanity withdrew from the country after the Fullers left the organization. As a result, the ideas of self-help and partnership that Millard and Linda Fuller introduced almost 40 years ago remain as needed and revolutionary today as they were back then – with representatives from around the country imploring us to bring the program to their region. As this chart shows, Congo has been tragically left behind as the world has advanced. And the story of its heartbreaking history is largely untold (Recommended reading: King Leopold’s Ghost. Recommended video: Crisis in the Congo). Standing there in the heart of Africa where this entire movement started, watching bicycle taxi’s go up and down the dirt roads, an idea began to form. Who better to tell the story than us? A story not only of tragedy, but of hope – a hope that has inspired the world to tackle poverty housing. A hope that has taught us that what the poor need is partnership and opportunities, not handouts. A hope that is continuing to drive The Fuller Center’s efforts in the Congo, which include a budding new Fuller Center project and support of the church carrying on the Fullers’ original project. But it’s not enough. It is time to re-introduce and expand the model, but to do it, we will need the help and contributions of many, many more people. "But how?" I asked myself. Wasn’t it obvious: another Fuller Center Bike Adventure ride, of course! An additional event – one in the spring – that would raise additional funds and have a particular theme and focus that could help bring attention to the need. We could talk about the Congo situation during the trip, and also seek out other ways people can help as well as other organizations raising awareness of the Congo situation. And so this little experiment of faith-in-action takes another twist. In a year in which we thought we were pushing the limits to try to hold two rides for the very first time, God leads us to a third. There are no shortage of reasons to hold off or slow down, but I believe God is calling us to push ahead – and I certainly know that Millard Fuller would be calling us to do so! But we will need more help, more riders. Join us, bring your friends, and make a donation. Ask your company and church to sponsor us. Like our Facebook page and share it with your friends. However you can, please help! We’ve got a new seed to plant. 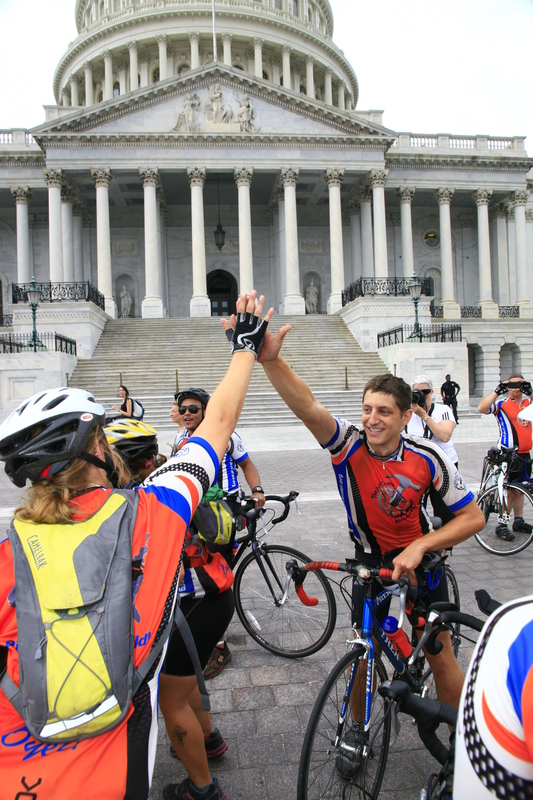 Learn more about our 2012 Bike Adventure’s Spring Ride!